As we manufacture all of our products, we can guarantee that all of our timber comes from the same source. 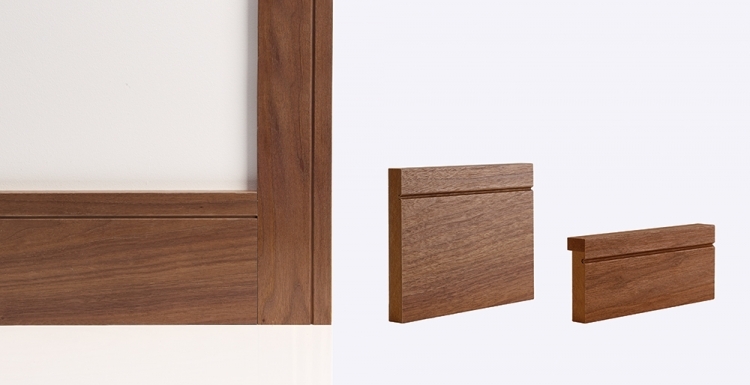 This results in a perfect match between your new door and the skirting and architrave. All of our shaker skirting and architraves are handcrafted from the finest, real american black walnut veneer and are also pre-finished.